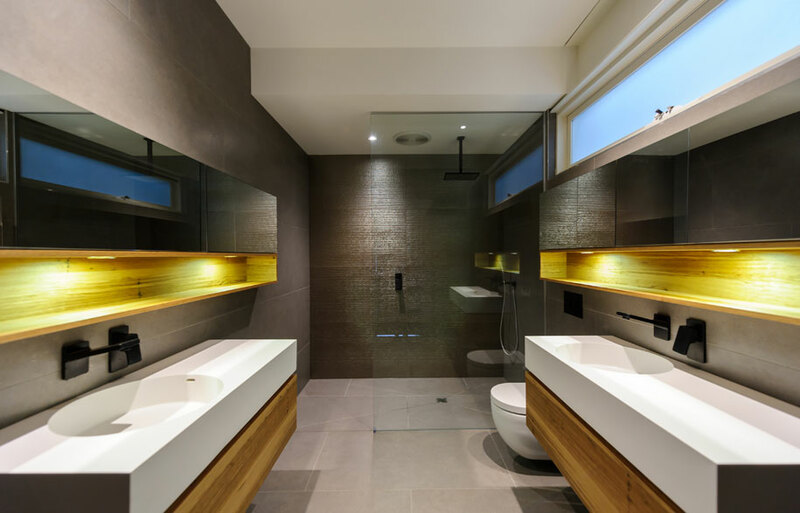 Using Mirror to Create a Sense..
Usually small spaces, the en suite can prove a tricky room to make comfortable. 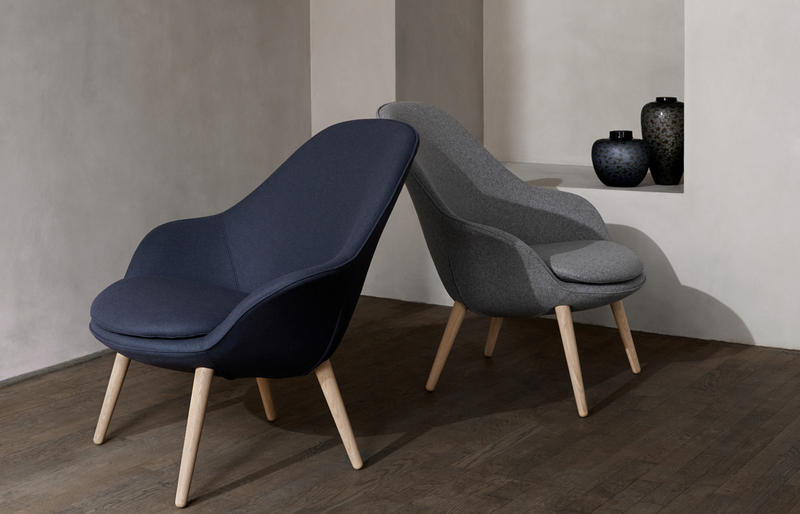 Here, we see a range of designs that work – and beautifully. 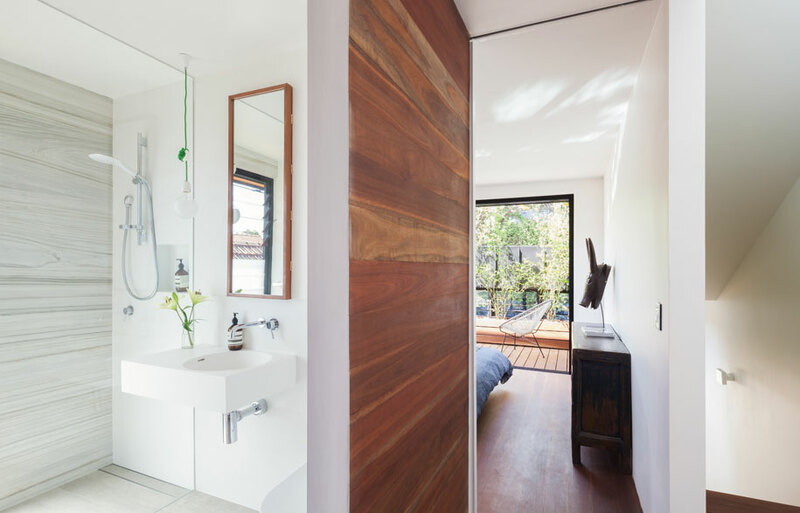 This custom designed en suite by Stukel Stone features a secret door clad in spotted gum boards. 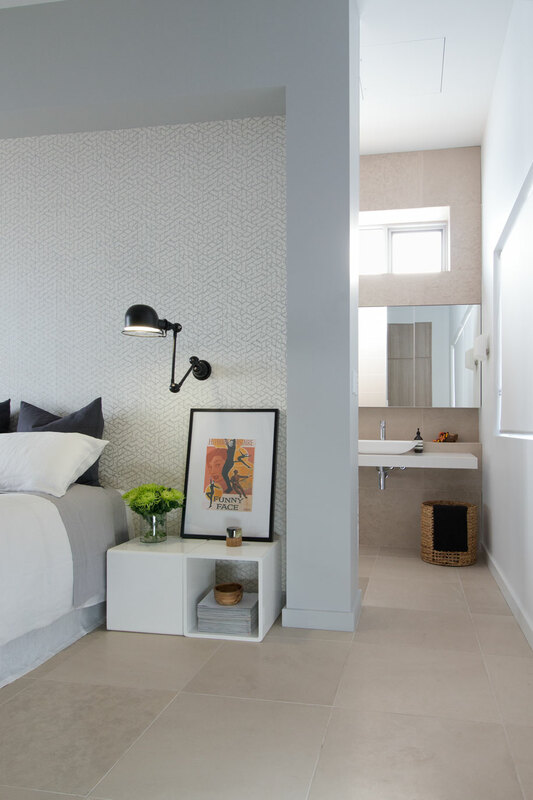 Positioned between master suite and guest bedroom, the en suite is simply designed for use by both the residents and guests. 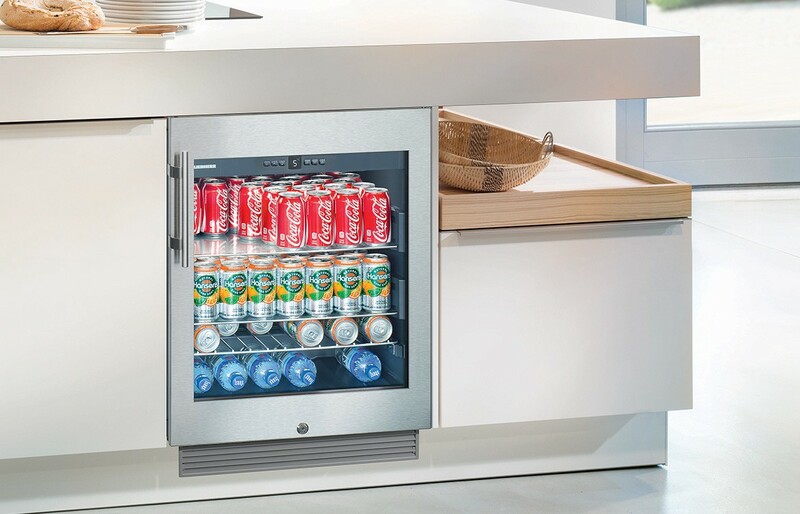 The pivot door has no hardware nor visible latch, giving the illusion of a continuous wall, with no door there at all. 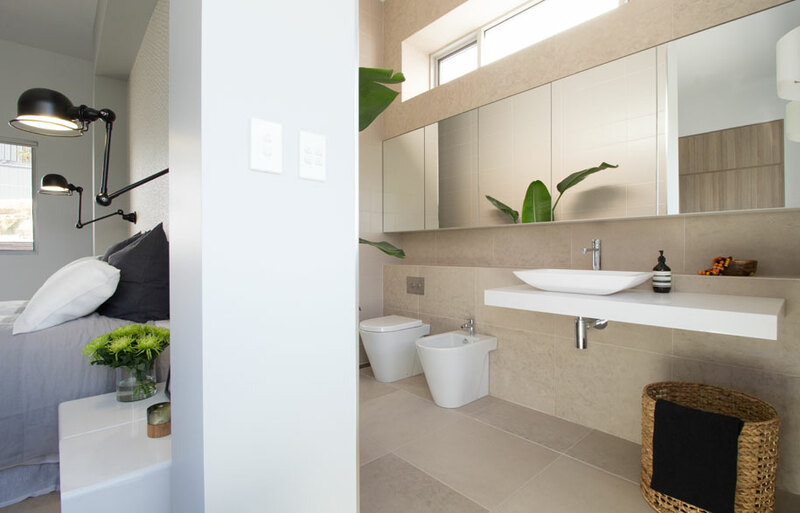 Inside the room the palette is calm, light filed and urban with Di Lorenzo white, concrete and marble-look matt tiles. Partially frosted louvres are for privacy, while the upper half are clear to frame the neighbouring terracotta roof tiles and sky. 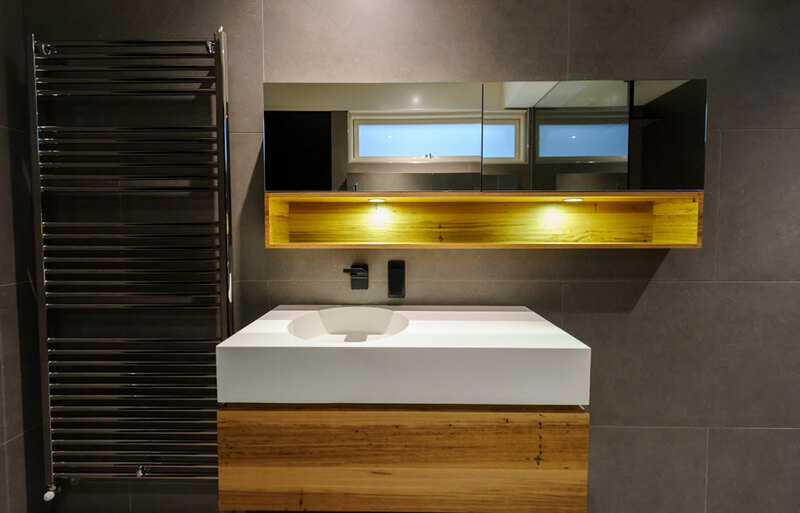 The client collaborated by designing and building the recessed mirror cabinet, also in spotted gum. 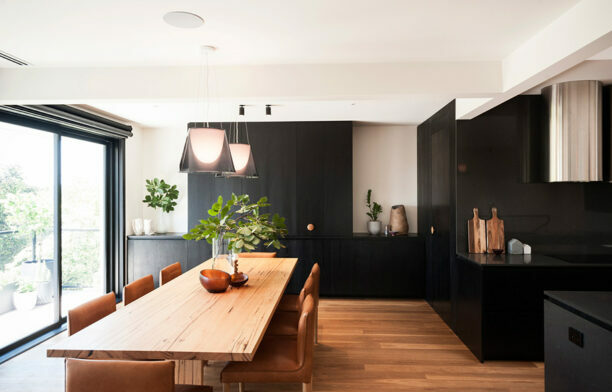 Located in one of the Collingwood laneways and originally housing the Sidchrome factory, the warehouse shell had been transformed into a vast three level apartment with open planned living. 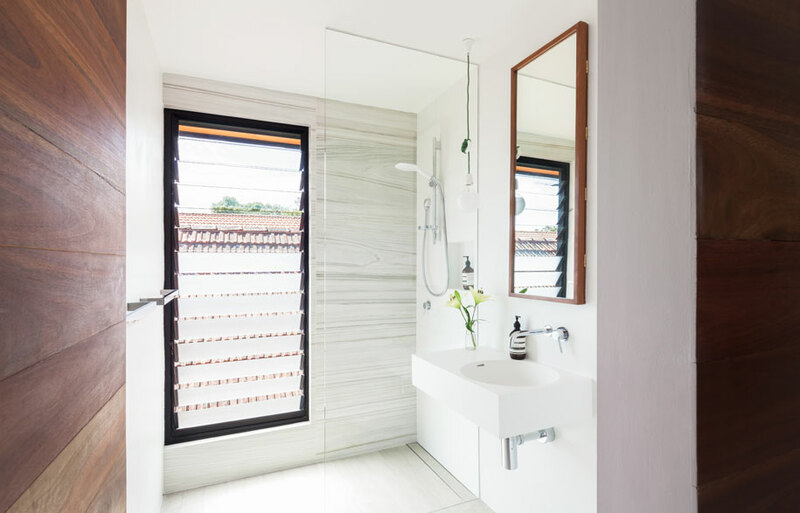 The en suite was to be a retreat from busy world outside. 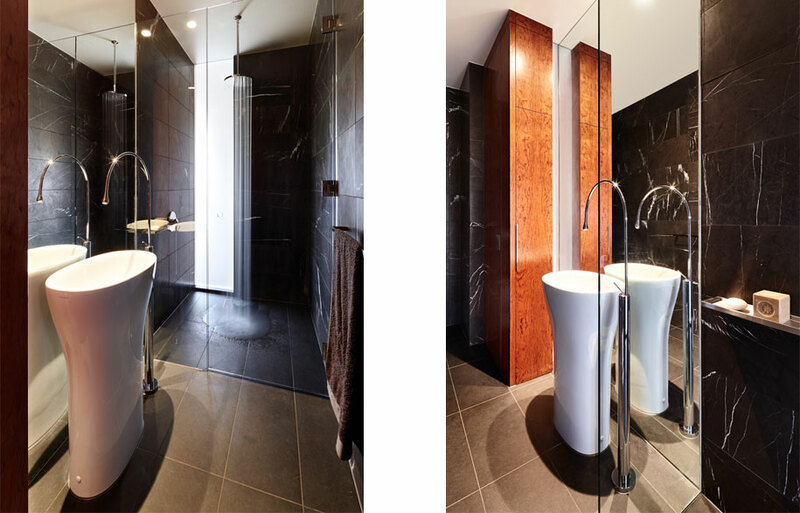 The client did not want a bath included in the design, but did emphasise the desire for a significant shower recess. The designers then chose beautiful, warm copper tiles in the shower recess, which form the waterfall backdrop to this retreat. With irregular, horizontal linear detail in the tiles, the water cascades, forming a ripple effect. The shower transforms into a water feature. OUTSIDEINSIDE Building Elements was commissioned by the client to design all the wet areas. 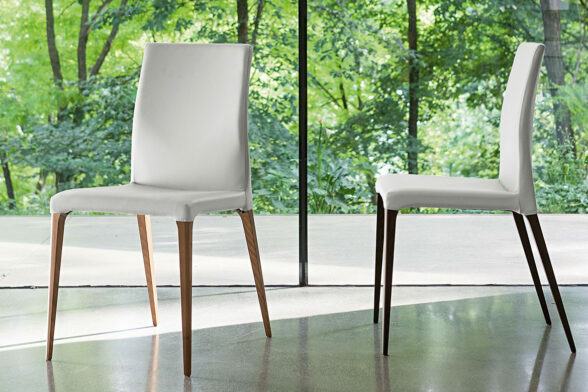 The designer worked closely with the Architectural designer on the interior spaces to ensure the vision was realised. 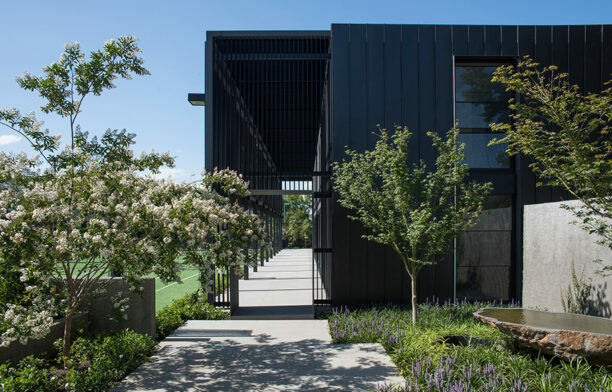 This project was designed for a husband and wife with health and mobility issues, which became a key design consideration. 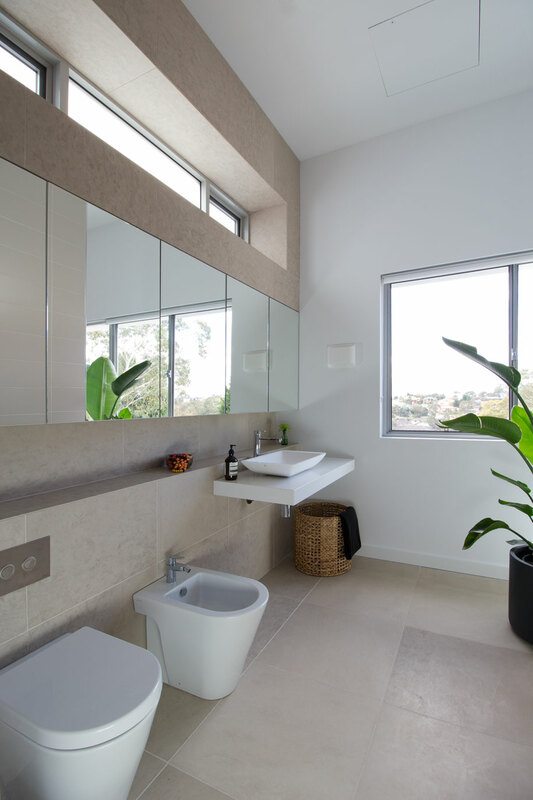 The ensuite needed to have easy access to all parts of the house, and be open and spacious. 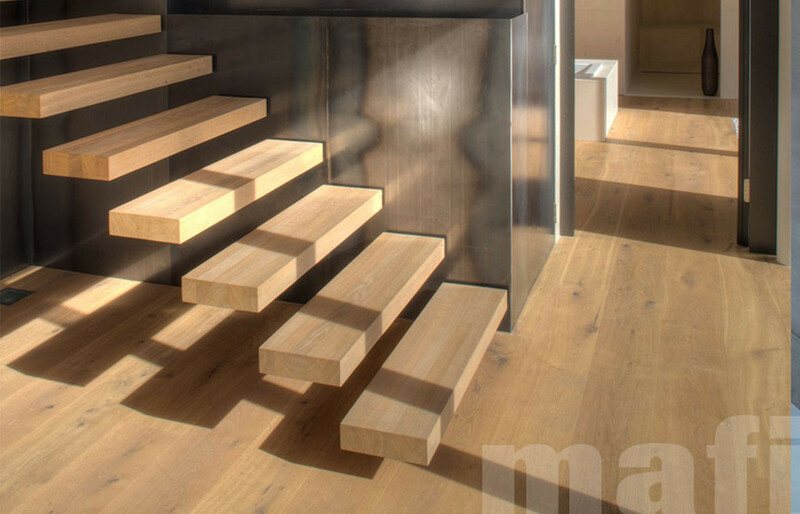 The clients wanted the overall scheme to be minimal, light, practical and family friendly. 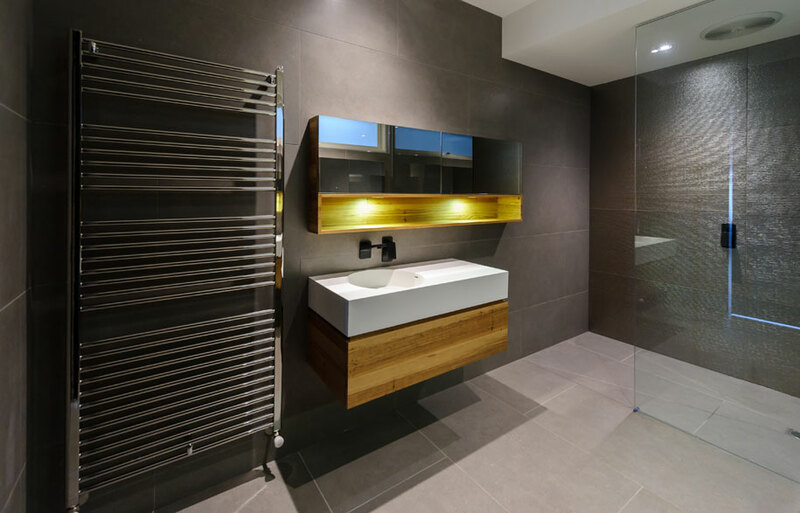 This is an ensuite refurbishment into an existing section of a terrace house; as with all terrace houses the space was tight. 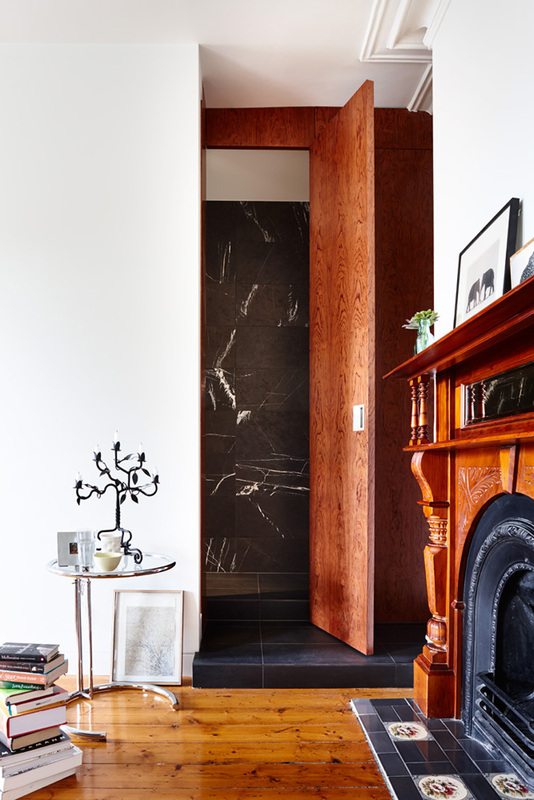 The room has been designed as recessive sanctuaries from the activity of a family home, using dark stone (white veined Pietra grey scuro honed marble) to the floor and walls, with rich coloured Bubinga timber, stone bath, and translucent glazing.